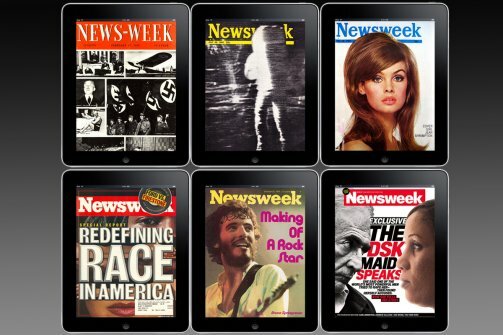 Newsweek has exited the world of print publishing for the more fertile grounds of the global Internet. They have decided to slightly adjust as they transition to what may be a more profitable and sustainable business model. Interestingly they are refocusing on a global audience with a single edition, which charges a subscription fee for content. As a longtime internet denizen I have seen the benefit of digital delivery of publications. It's fast, easy and often cheaper. Newsweek alluded to their cost overheads and "the challenging print advertising environment". Their audience--and presumably profits--has grown with tablet adoption. So it seems their goal is to shuck off the old print world, it's expensive overhead, and live in the greener pastures of digital profitability. With their transition to digital they are also tweaking their focus a bit. They are changing the name to "Newsweek Global" and with it content about world events. Finally someone has overcome the myopic view of the Internet as a US only publication channel. Lastly Newsweek Global will be available via paid subscriptions. A move I'm glad to see, and predict more publishers will migrate to in the future. For the longest time publishing online followed the newspaper and broadcast model of revenue by selling eyeballs to advertisers. Now Newsweek will be able to gear their efforts and focus their hearts towards the actual users of there publications. Content decisions will be different, and long term strategy will be user centric. I predict an increase in quality content and happy readers. It's an interesting time for Newsweek and other publications waiting to see how it pans out. It could be the beginning of a migration to all digital for many more publications, and better content for readers.